United Parcel Service (UPS) is currently one of the largest logistics and shipping companies in the world. Specializing in the transportation of goods and parcels by rail, road, sea and air, UPS has an international reputation for excellence. It is now possible to track UPS parcels throughout their journey to their final destination with Track Parcel — all you need is your tracking number. How does UPS tracking work? Tracking parcels, goods and packages being shipped with UPS is very easy. There are several options available for the tracking of parcels with UPS, including by email, SMS and a simple online tracking tool. Every time an item is shipped with UPS, a tracking number is automatically generated. Tracking numbers stay with their parcel throughout their journey, and they make it possible for senders and receivers to check exactly where an item is. There are other ways to track items, including by Delivery Order, Sub-PRO Number and a UPS Service Notice number. United Parcel Service began life as the American Messenger Company. Founded in 1907, this private delivery service operated in and around Seattle – long before the creation of the United States Parcel Post System. In the early days of the company’s operation, the biggest customers were department stores in Seattle, many of which would lend the American Messenger Company vehicles so deliveries could be made safely and quickly. The company’s first vehicle wasn’t bought until 1913 — seven years after the founding of the company. But by 1919, business was booming, and a service was introduced in Oakland, California. The name of the company was changed to the United Parcel Service, and one of the world’s most recognizable delivery companies was born. 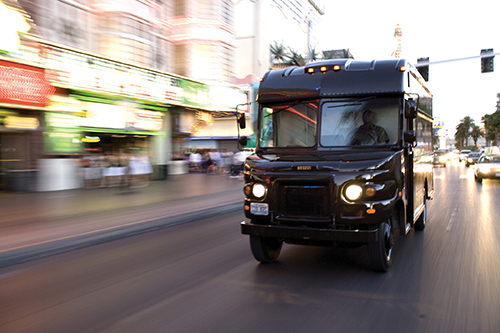 UPS pioneered the consolidated delivery model that delivered parcels and packages around a specific area of a city using a single vehicle. UPS was growing quickly by 1922, prompting the acquisition of a local delivery company in Los Angeles. The company began to introduce a range of new cutting-edge services during the 1920s, including the automatic return of undeliverable items, cash on delivery, daily collection calls and weekly billing. Word was spreading about the reliability and effectiveness of UPS, and by 1930 the company had launched their exceptional range of services in New York City. More East Coast cities followed, and the original eagle logo was replaced with the UPS name in 1937. During the 1970s, services were launched in Canada and Germany, and several other countries soon followed. UPS today is one of the largest companies in the world. In 2013 alone, the company delivered more than 4 billion packages, and generated revenues in excess of $55 billion. Every home and business premises in North America and Europe is now within the reach of the UPS service, and more than 9 million people either send or receive packages with UPS every day. 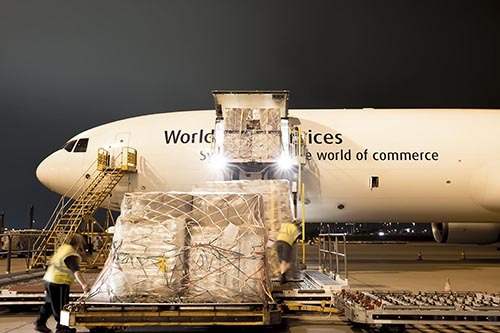 UPS has accumulated a huge network of delivery vehicles over the years, which includes more than 380 chartered aircraft and over 230 UPS branded aircraft. UPS has continued to grow and expand its operations since the turn of the century. Mail Boxes Etc., Inc. was acquired in 2001, and the business (and its 3,000 stores) were rebranded as the UPS Store brand shortly afterwards. UPS finally entered the heavy freight industry in 2004 with the purchase of Menlo Worldwide Forwarding, and they quickly rebranded the operation as UPS Supply Chain Solutions. Among other significant acquisitions by UPS in recent years include Overnite Transportation and Lynx Express. After receiving criticism with regards to its environmental record, UPS began to make changes to its operations that were designed to lessen the effect on the environment. 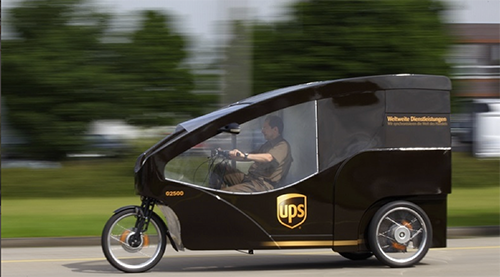 As of 2013, UPS had more than 96,000 vehicles in operation around the world, and around 2,700 of those vehicles ran on various alternative fuels. Several hundred of the company’s vehicles now have hybrid electric motors, and many more run on compressed natural gas, which is considered to be more fuel efficient than gasoline. According to a recent assessment of UPS’s environmental credentials by the Climate Counts Group, the company scored 80 out of a possible 100 for its efforts on maintaining an environmentally friendly operation. UPS has also been awarded the Clean Air Excellence Award by the United States Environmental Protection Agency — thanks to the company’s use of alternative fuels. As well as a user-friendly tracking service, UPS offers its customers a huge range of services that make sending and receiving goods around the world an easy and cost-effective process. One of the most popular services is UPS Access Point, which has been developed specifically for online stores. The service provides a range of e-commerce delivery solutions for independent and large chain stores. 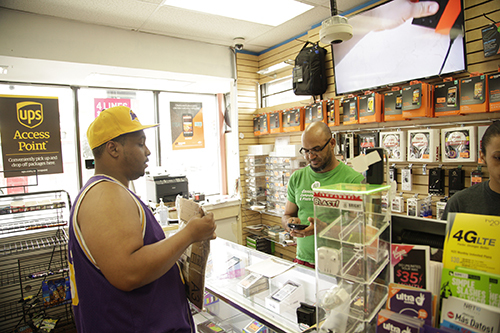 Once goods have been bought online, they can be picked up at various UPS Access Points around the U.S. — which are usually based in small, independent stores. Many of these stores are also approved for holding unsuccessful deliveries. Customers can drop packages off at UPS Access Points too, which is very useful for people who need to return goods. Sending goods via UPS is a simple and quick process when ‘My UPS Service’ is used. This user-friendly online tool includes everything businesses and individuals need to ship parcels and packages anywhere in the world. Shipments can be created, pick-ups arranged and packaging supplies can be ordered. There are also various options to ensure all shipped goods comply with local laws, transportation costs and taxes. Once sent, packages can be tracked by the sender, and various information concerning the delivery process – including when shipments arrived at their final destination – can be checked. For customers taking delivery of UPS shipments, the ‘UPS My Choice’ tool is very useful. This online service allows recipients to set delivery preferences, receive alerts on estimated delivery times and choose from a selection of home delivery time slots. It is also possible to redirect shipments to a completely different address. Available for the iPhone, Android mobile devices and Blackberry users, the UPS Mobile APP gives customers a range of options related to the tracking of shipments. Users can receive updates on the status of their packages and view special instructions relating to delivery. It is also possible to get an estimated delivery time for a shipment by entering a zip code. This comprehensive app helps users to find their nearest UPS Drop Box or UPS office based on the current location of the mobile device being used. UPS has grown into a major international company over the years, and it offers a range of different services in markets all over the world. Around 400,000 people currently work for UPS — around three quarters of which are based in the U.S. There are countless opportunities for employment and career progression within this huge organization, and there are always jobs available in a number of different areas. For example, there are full-time and part-time positions in sales, engineering, packaging and transportation. Everyone from trained pilots to truck drivers can find a great employment opportunity at UPS.